Last week I spent a lot of time focusing on how much likes matter. Here’s the deal: Beneficial likes make you relevant and that is one of the foundational “pillars” in Facebook’s Graph Search algorithm. I’m sure you know by now how stinkin’ hard it has been to find anything via search on Facebook. Almost impossible, unless you know exact spellings. And forget any semblance of finding correlations of things: friends who graduated the same year you did from the same college you did who now live in your current town. Facebook finally has a solution it released late in 2013. What is it? It’s called Graph Search. OK. That’s probably as clear as mud. In a traditional online search you would first probably search for your college and then do whatever research you could to find alumni. On Facebook, it’s much easier. If you want to expand it to people you may not be connected to, you’d simply change your search to: Friends of people I know who went to YOUR COLLEGE and graduated in YEAR and live in YOUR TOWN. or People who went to YOUR COLLEGE and graduated in YEAR and live in YOUR TOWN. And there is your list. You can use Graph Search for anything, including targeting your audience for your business page. How? Step 1: Favorite pages of people who live in YOUR TOWN. What comes up? Any other community pages? Any pages that have over 5,000-7,000 likes? Anything that interests you? Anything that fits your target niche? 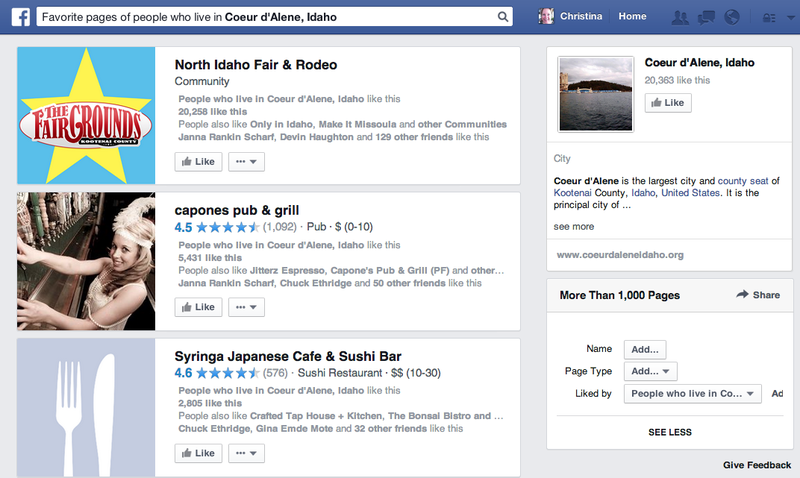 In my search image below, the top favorite page is the North Idaho Fair & Rodeo. It’s a community page and it has over 20,000 likes. What can I do with this? Do I specialize in farm & ranch properties? Do I prefer working with equestrians? Survivalists? Arts & crafts lovers? I can take that community page title right over to Power Editor and target people who live in Coeur d’Alene, are a certain age (at least over 18 if you want them to be legal to sign a contract) and are interested in the North Idaho Fair & Rodeo. So now I have a targeted potential audience of 4,000 people who fairly closely fit my niche. You can go even deeper. Just search out more interests. The deeper you target, the much better return your advertising will give you. You should be using Graph Search on both levels: to connect with your sphere of influence that you aren’t connected to AND to target your advertising to funnel people you’ve never met onto your page and ultimately into your database. 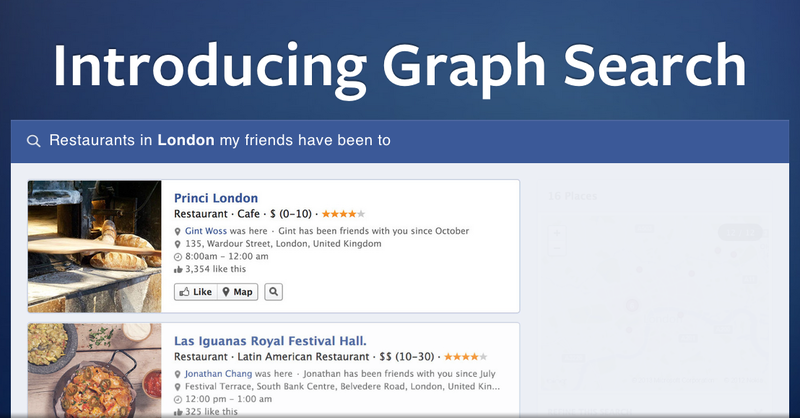 Have you ever used Graph Search? What do you think of it?